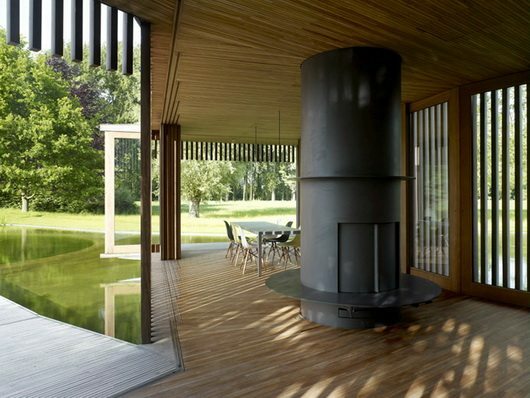 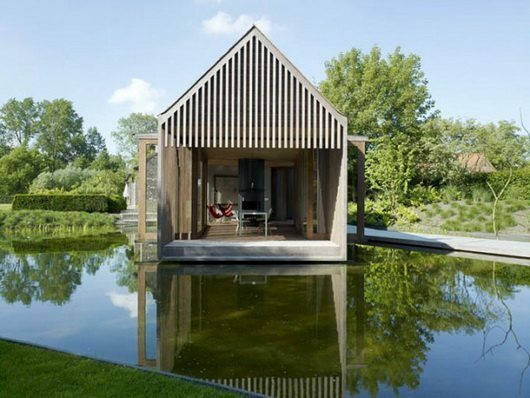 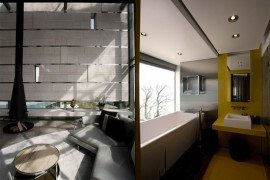 The charming lake house by architect Wim Goes resides quaintly and comfortably on a Belgian lake, near the city of Ghent. 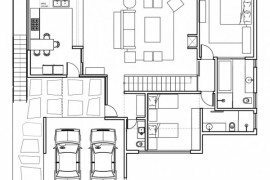 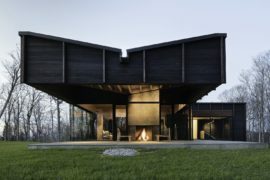 Aside from the steep roof conveying a traditional feel, and the employing of wood as the main material, there is nothing conventional about it. 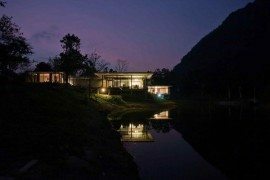 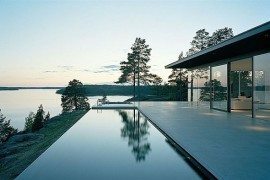 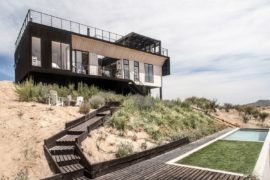 The house seems to have given up the city life and made itself at home on the lake, befriended by luscious green vegetation, the prozaic garace driveway replaced by a pier on the lake. 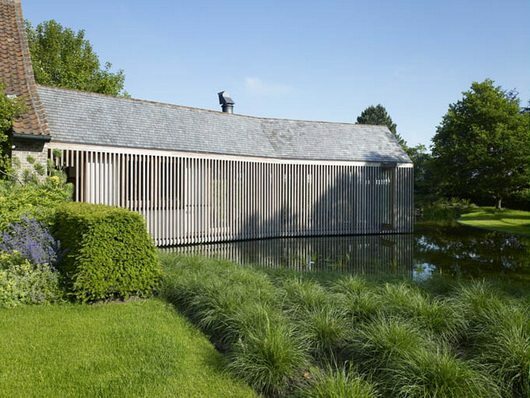 The completely fringed facade is finished in Scandinavian gray, and is really a tight succession of wood strips acting as blends, creating a rigurous shadowplay on the slightly curved corridor and filtering nature into the house. 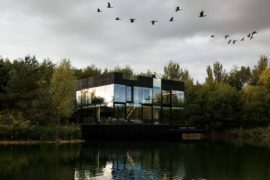 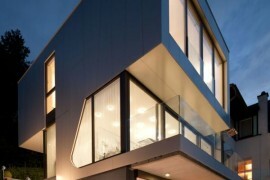 The wood fringes not only create transparency, but also take on and diffuse the load from wind, thereby easing the structural role of the facade, with the lake beneath it – a fantastic and picturesque mirror for its vanity.